I will create link wheel for your site to help it get Google page one in one month!!! 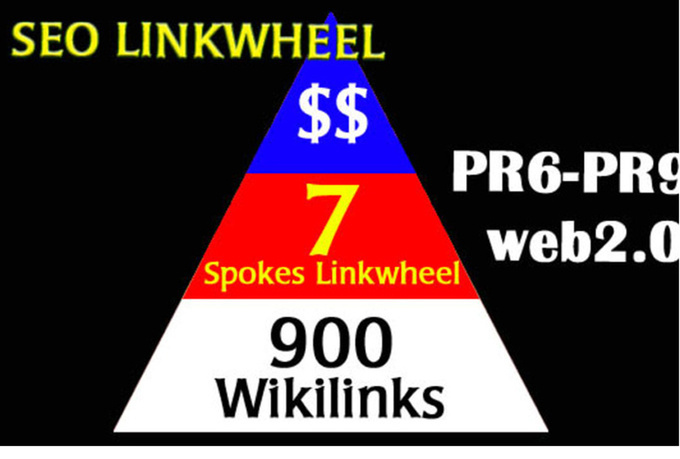 Quality linkwheel! I will use: 6 blogs with unique and spun SEO optimized content, unique bookmarks for each blog, ping and rss submit to all blogs. Will send you full proof in clickable format. Save hours of hard work and order now ! Awesome results with low competitive keywords and good on-page SEO! This is the link wheel created on the way like my primary one, but the period for deliver is longer and gig's extras are different. This gig + extras is very good for new sites, youtube videos, facebook fan pages and any social pages.